Quite possibly the most integral part of any strength training program, Dumbbells Workout has its reputation for a reason. Dumbbell Workouts allow you to focus on your body, side by side.Moreover, because of the independent movement of limbs, your core also has to brace harder. Dumbbells deny any sort of strength imbalance between your arms, by completely debarring your dominant arm to assist when you aren’t strong enough to lift the weight with your weaker arm. From Flat Chest Presses to Incline Chest Presses to Dead Lifts, the World of Dumbbell Workouts is full of Workout options. The compact structure of Dumbbells makes them more convenient to be worked out with, even in limited spaces, for power-based movements. 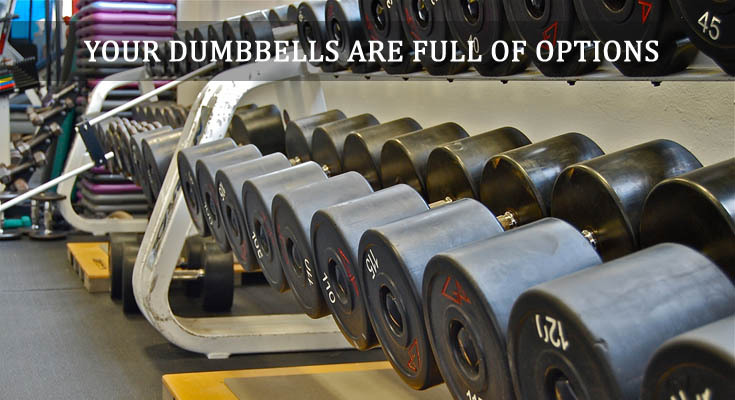 Being one kind of the free weights, Dumbbells control the exercise by activating your smaller stabilizing muscle groups. 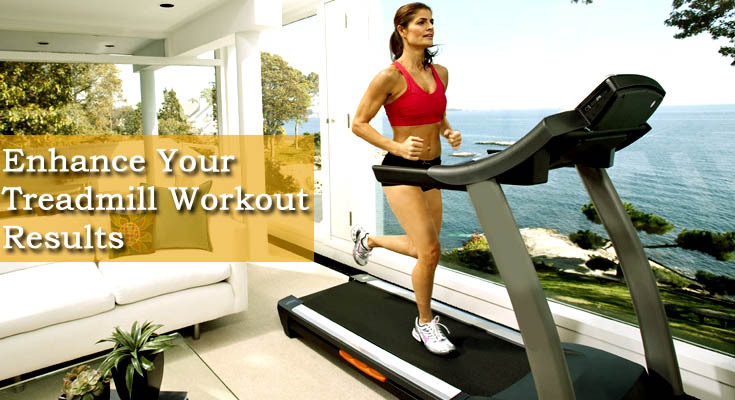 Hold the dumbbells directly above chest with your arms extended, while lying flat on bench. Then start lowering your dumbbells slowly and steadily down to chest. Now push the dumbbells again back to the initial position and keep on repeating. However it is advised to avoid the elbow locks. The Flat Chest Presses strengthen your chest muscles and mostly focus on your lower Pecs. For this type of Dumbbell Workout, you need to incline your chest at an angle of 30-45 degrees on a bench and perform chest presses as explained above. While the Flat chest presses focus on your lower Pecs, the inclined chest presses work on your upper Pecs. The inclined Chest presses work on Pectoralis major, Pectoralis minor, Anterior Deltoid, Triceps Brachii muscles of your upper body. With your elbows close to the torso and dumbbell in each hand being held at arms’ length, stand up with your torso upright. For the starting position, your palms should be facing your torso. Now breathe out and curl the right weight forward until your biceps is fully contracted, with dumbbell being at shoulder level. Hold this position for seconds. Slowly bring the dumbbell back to its starting position and breathe in. Repeat the same with left hand too; this completes one rep. Try to do 10-12 reps in one go. This form of Dumbbell work out majorly focuses on your biceps muscles. Sit down on a flat bench with your knees bent and feet firmly rooted on the ground. Keep a fair separation between both the knees. Take a dumbbell in right hand on yours, with the right elbow planted on right thigh. Now, pick your dumbbell up, slowly up to your shoulder height and then slowly move it down to the initial position, this completes one rep of your dumbbell workout. Repeat it for 10-12 reps. Do equal number of reps using left half of the body. Sit on a bench with a back support added to it. Hold the two dumbbells in front of your upper chest, with your palms wrapped on the dumbbells in such a manner that you can see the inner side of your forearms. Now raise the dumbbells above your head, along with rotating the palms of your hands until they are facing forward. Continue stretching your arms until they are completely stretched straight above your head. Along with your forearm muscles, Arnold Dumbbell press works on your elbows, shoulder and triceps muscles as well.